Among the 14 earthquake affected districts, Rasuwa was severely affected. When compared to the proportion of casualties and damaged facilities, it stands at the top among the affected districts. About 98% of households were damaged while all the schools suffered some kind of obliteration. 17 out of 18 health facilities sustained some types of damage - 12 completely damaged and five partial damaged. This project is working on improving lives of 2,794 households through holistic development: conducting health, educational, livelihood and community empowerment activities. 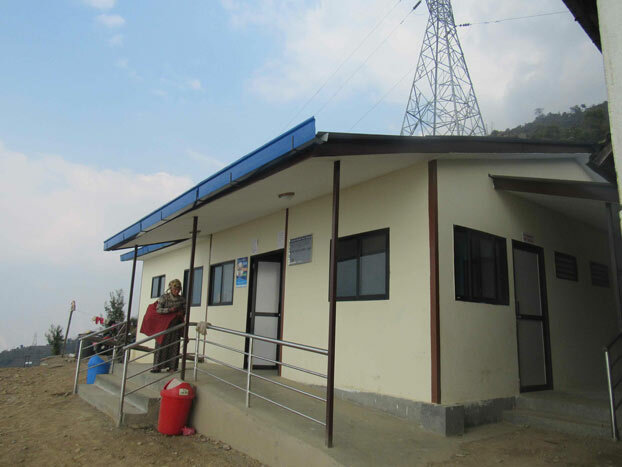 Karuna Foundation Nepal is rebuilding 11 health facilities in earthquake resilient design using prefabricated materials and repairing three health facilities after signing a Memorandum of Understanding (MoU) with Ministry of Health (MoH). To increase access to and utilization of maternal and child health services by resuming and strengthening the health services . To support the resumption of inclusive education services and enrollment in early child development centers, primary and secondary schools. To restore and promote socio-economic activities for earthquake affected households with special focus on female headed households, households who lost the breadwinner, marginalized groups, persons with disabilities and elderly.